From unequalled shophouse advisory to a decade of regional expertise, Singapore’s pool of young real estate agents is promising in every regard. 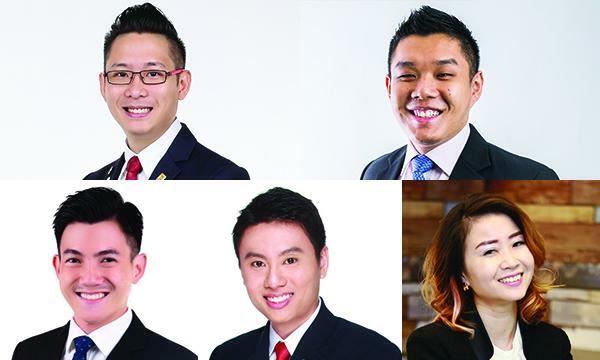 Singapore Business Review presents five of the city’s most competitive real estate agents aged 40 and under who have mastered the ropes of the job at such a young age. Handpicked by their companies and colleagues, these real estate agents demonstrate what can happen when one is fuelled by youthful energy, inspired by love for people, and equipped with a vast knowledge of Singapore’s economy and the real estate market. They are ranked by age. Kavin had already secured a spot in a local university when he decided to forego further education and make his first career move. Armed with a diploma in Business (Banking and Finance), he ventured into real estate at the age of 25. With no contacts on hand after completing his national service, Kavin had quite a rough start by going door-to-door in HDB estates. Kavin’s difficult beginnings inspired him to learn the ropes of real estate sales from the bottom, fuelled by his quest for success. Today, he is consistently ranked amongst ERA Realty’s top agents, closing transactions from $5m to $10m. “I chose to be a real estate professional, as the industry has no income ceiling–the only limit to your income is the ones that you create,” he said. In 2015, Clemence, then 28 years old, was given the opportunity to build from scratch and lead a shophouse advisory team in JLL. Within two years the team has amassed transactions amounting to over $100m worth of shophouses, enabling JLL to gain recognition for providing topnotch advisory in the shophouse market. Young as he is, Clemence has also worked with the commercial leasing team whereby he was instrumental in advising multiple multinational corporations and local-based entities in their leasing requirements. At present, Clemence is primarily focused on the acquisition, divestment and advisory services to clients on commercial properties including office buildings, retail malls, shophouses and strata office and retail units. Clemence is able to close high-value transactions worth up to $45m. Inspired by an inner passion for service,Eugene left his lucrative career path as a high-flying engineer to become a full-time salesperson for ERA Realty. Eugene, an honors Mechanical Engineering graduate from the National University of Singapore, has worked his way up the real estate ladder since 2005. Eugene’s hard work has been paying off, as he continues to receive awards for exemplary work, such as ERA Asia Pacific ELITE Award and Institute of Estate Agents (IEA) Platinum Award. His vast knowledge of market trends enables him to come up with detailed calculations based on his client’s financial situation and even allows him to provide more proposals that the client can choose from. With a personal motto of “Success is attained through helping a lot more people,” Eugene has earned the trust of his colleagues, co-agents, friends, and clients. Eugene transacts deals worth $4m to $7m. When Jasmine entered the real estate market, she immediately understood why it is not for thefaint of heart. Despite the volatility and unpredictability of the Singaporean market, Jasmine has remained on top of her game to offer reliable advice and excellent services to her clients.With a M.Sc. (Real Estate) and a B.Sc (Building), Jasmine offers unparalleled expertise when it comes not only to the real estate market, but also to the physical structure of her client’s properties. 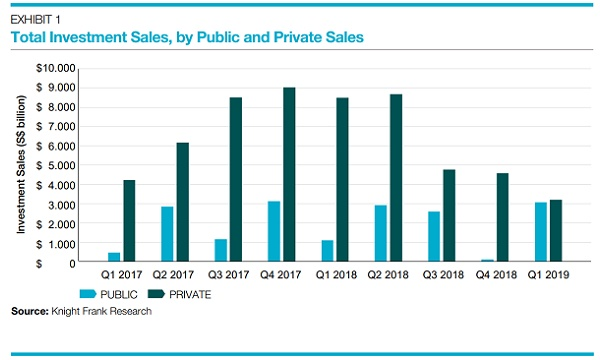 To date, she has brokered 218 sales transactions and 261 leasing transactions, spanning across all segments from HDBs, private residential, commercial & industrial. Jasmine is also experienced in regional real estate, with almost a decade of working on greenfield projects supplying steel for use across various industries in the region.